Maui’s premier home and lifestyle showroom offering luxury home furnishings, gift items and an extensive textile studio. 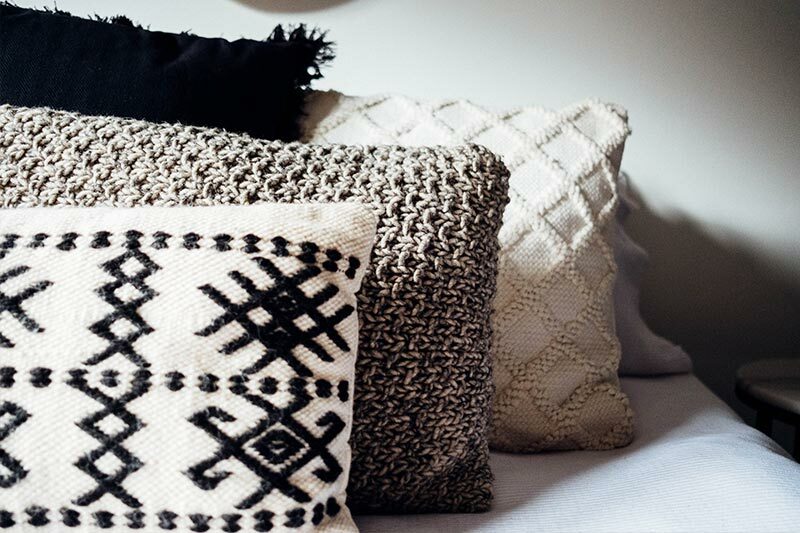 You have probably heard this statement before—Always follow the ‘Rule of Three’ when decorating your home. 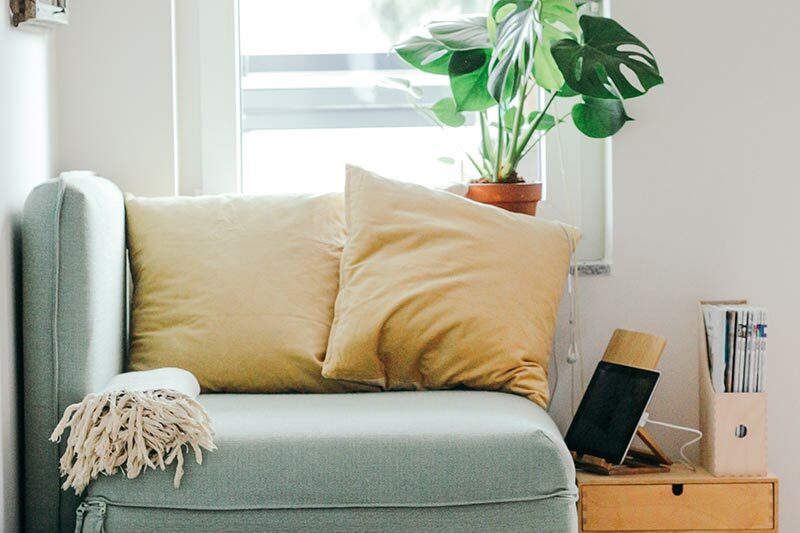 What is this mysterious rule of three and how do we incorporate it into our home—and aren’t rules meant to be broken? Most designers will tell you that the rule of three was put into effect due to the fact that an odd number of items looks more natural and less forced than an even-numbered grouping. Why is this? Well, mostly because too much symmetry makes a room look stale and cold (although, we all know symmetry plays a huge role in design, too). Essentially, there is a balance to be found between symmetry and asymmetry. In order to make this balance more clear-cut, we have gathered a library of five room designs that follow this rule of three—some follow it to the letter, others show how flexible the rule can be, and then some outright break the rule. Let’s look at these rooms to see how designers have dealt with this rule and how, at times, they have successfully broken the rule. There is a standard equation that works best when choosing room colors — 60, 30, 10. 60% being the main room color, 30% being the secondary color, and 10% being the accent color. This ratio can be applied to all interior and exterior colors that you choose for your home. Take for example your living room— 60% may be a neutral beige, 30% may be a bold navy blue accent wall, and 10% could be coral-colored throw cushions with navy blue trim/accents. If bold color combinations are not for you, then choose three varying shades of the same color for a neutral, more calming room design. Either way, if you follow the rule of three when choosing colors, then you are guaranteed to achieve a room that is well-designed and welcoming. 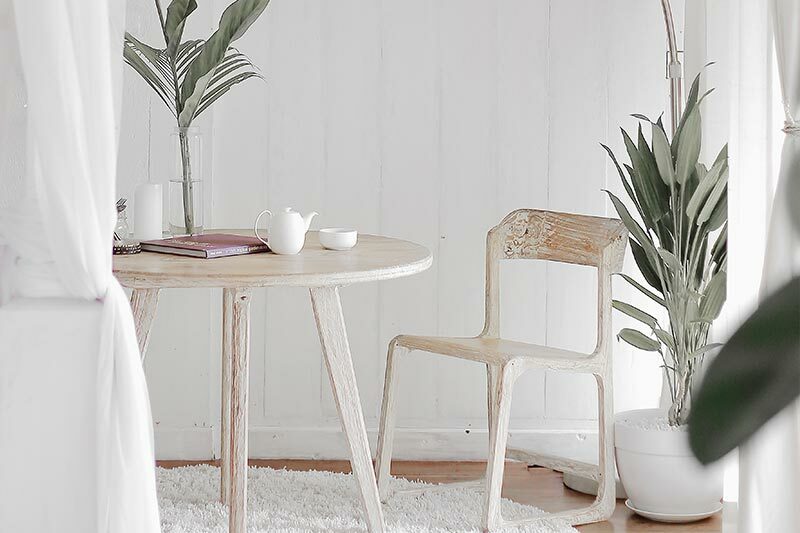 Have you ever looked closely at an all-white room? If you did, then you probably noticed that the room is not really all-white, even though it initially appears that way. 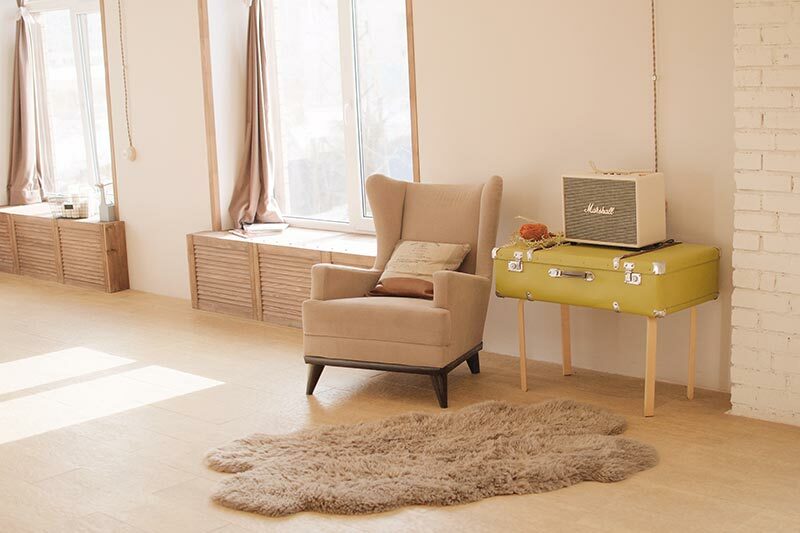 In fact, upon closer inspection of an all-white room, you will see numerous shades of white, cream, beige and brown. You will also notice a lot of different textures—wood, rattan, linen, and nubby cottons. Yes, this rule of three extends to room texture, as well. Notice the room in the image below; it has the rough texture of numerous wood accent items; it has a nubby linen fabric on the chairs; it has a rusty steel shade covering the pendant light. These three main textures combine within this room, offering a visual treat and creating a warm atmosphere within the otherwise neutral-colored theme. Combining fabrics can be tricky. It can be tempting to just pick one fabric that you love and use it on your curtains, pillows etc… but wouldn’t that be really boring, and probably over-powering? When designing any room in your home, it is best to choose three fabrics that play up one another’s colors, patterns and textures. To choose color combinations that can be applied to your interior design, try laying out all your fabric options and choose fabrics based on texture, pattern and color. When in doubt, you can always ask us for assistance; our designers can offer numerous fabric combinations for any given room in your home. Arranging furniture within a room can seem like a mystery. There seems to be too many rules when it comes to furniture placement. While you may be tempted to ignore some of those rules, we suggest you follow the rule of three in order to achieve a room that functions and flows. 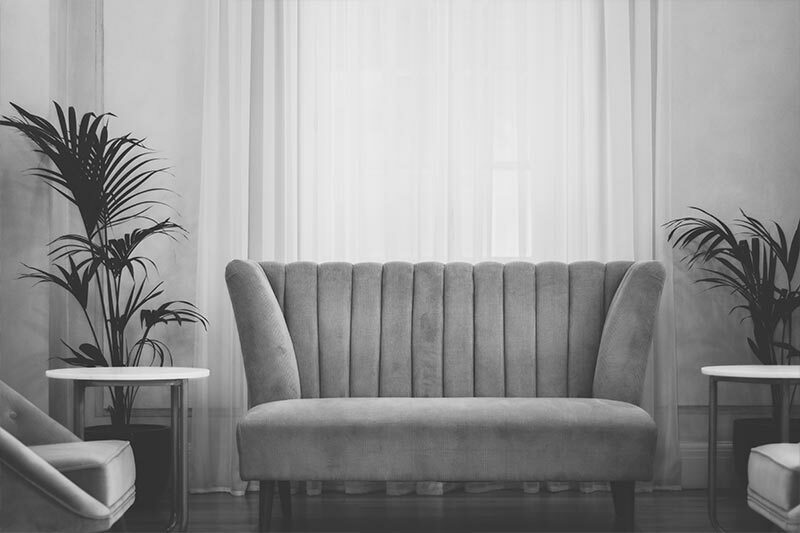 Whether you have one large sofa and two large club chairs, or two dainty love-seats and one delicate chair—the rule of three will help you place your main furniture into cohesive groupings. It is important to create furniture groupings where size and shape mimic each other, creating an integrated look. The rooms visual height and scale can be adjusted with other various-sized objects, but furniture should be similar in size/scale/shape when grouped together. While we have shown that the rule of three adds visual depth and interest, there is something that makes that rule null and void—Scale. The scale or size of your room or items within your room may require you to break the rule of three. If the island in your kitchen is small, it may look cluttered and over-powering to have three large pendant lights dangling above it, forcing you to only have two pendants instead. Or if you have a small, dainty coffee table it may look too “heavy” to arrange three items on top of it. On the other side of the scale spectrum, an item may be very large and require more than three items in order for it to maintain its balance. Balance the rule of three with the scale of the room and its objects within, ensuring that your room is well-porportioned and scale-appropriate. The rule of three is not so mysterious anymore—it is simply a fun way to add depth and visual interest to your home. Play with this rule and don’t get too caught up in the details of it. No matter what, rules can be broken, and sometimes the scale of an item doesn’t allow you to follow the rules. Take pictures of your arrangements and let the camera tell you if something is “off”—pictures are great at revealing problems with the scale of your arrangements. Most importantly, have fun—decorating is not meant to be dreary. Our mission at HUE has always been to surprise and delight you with unexpected, distinctive finds for your home. We hand-pick all of our products with care, ensuring that any treasure you find at HUE is unique, just like you. © 2019 HUE Interior Design + Decor. Designed with by Brand & Brush.